Legalities, however, were the least of the frontman’s concerns when he was diagnosed with Leukemia in 2009. 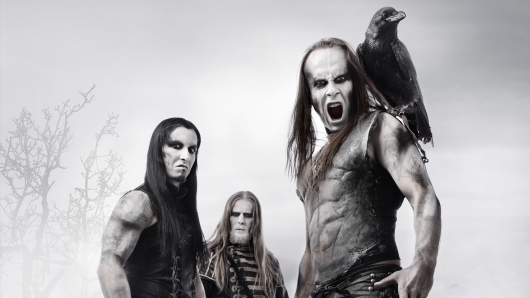 After battling the disease into remission, Nergal and company roared back with their ninth and best studio album to date, 2014’s tour de force The Satanist. The singer also has an autobiography, Confessions Of A Heretic: The Sacred And The Profane: Behemoth And Beyond, releasing in the United States in paperback and for the Kindle on March 19, 2015. The book will contain a Foreward by Randy Blythe, frontman for metal band Lamb of God. Check out the clip of Behemoth playing “Christians To The Lions.” Crank it up and enjoy this black metal Friday.